Meet sweet Annalise! It was a gift to get to photograph her just hours after birth during a "fresh 48" session and ALSO get to have her in my little home studio space for some newborn pictures. 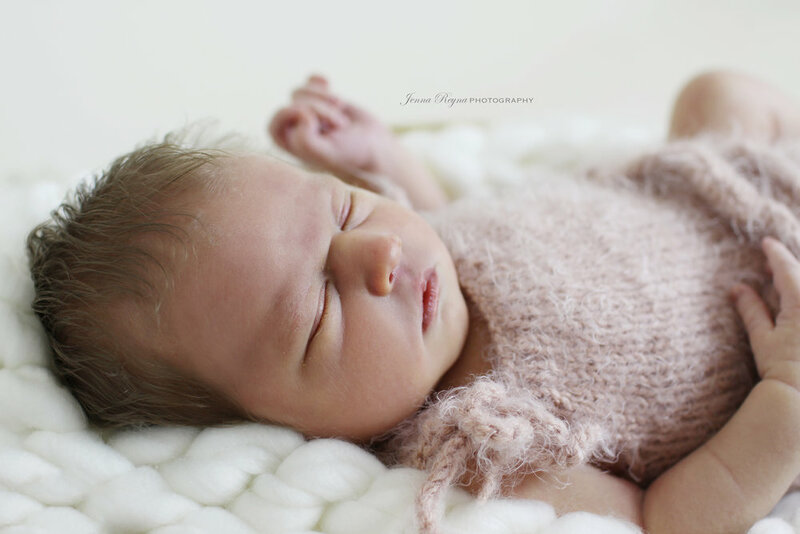 I'm not going to lie... she was quite wakeful and sure made us work hard for these photos! Precious little girl, you're such a gift!